A few months ago, I received a totally out-of-the-blue email from a PR person representing the secretary of tourism for South Dakota, and she said that he would be traveling to D.C. and wanted to meet with me. Since the other editors of Parks & Recreation Magazine departed last year, one change I’ve tried to make in the magazine is to give more even coverage of park and recreation departments across the nation. For example, we cover northern Virginia and New York City and California parks all the time, but I can’t remember a single article we’ve done on a park in Arkansas since I started. South Dakota has also been poorly covered, so I jumped at the chance to meet with this guy and talk about some possibilities. 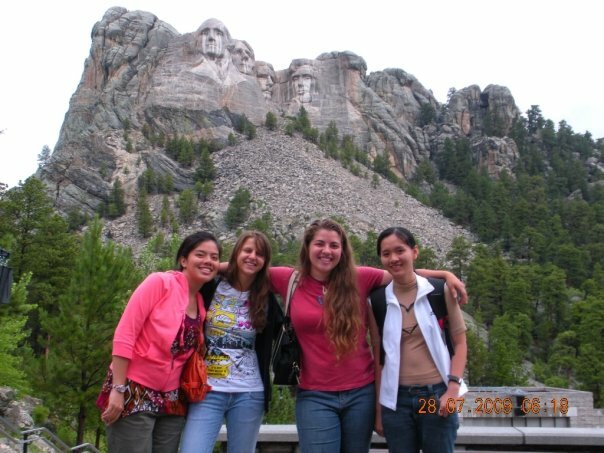 I already knew about many parks throughout South Dakota just from regularly keeping my ear to the ground for relevant media coverage, and I also visited the state and several of its parks on a road trip with my dog in 2009. However, my meeting with Secretary Jim Hagen opened my eyes to a number of new editorial possibilities regarding South Dakota parks. To give me a chance to see and experience them in person, he invited me on a press tour that focuses on the Black Hills in the southwestern corner of the state. There were some other parks in other parts of South Dakota that I wanted to check out as well, so I worked with his team to add on a few days to the front part of the trip. After a few months of planning it out, I finally left yesterday afternoon and am writing this from my hotel in Sioux Falls :). The western side of South Dakota gets the lion’s share of the state’s tourism traffic, what with Mount Rushmore, Crazy Horse Memorial, the Badlands, Deadwood, Sturgis, Custer State Park and other major attractions neatly contained in the area of the Black Hills. However, the eastern and central parts of the state have a lot going on as well, particularly in terms of cool parks. Tomorrow, after breakfast with a representative from the Sioux Falls Convention and Visitors Bureau, I’m visiting Falls Park here in Sioux Falls, which was one of my stops when I drove through the state five years ago. At that point, the park offered a fantastic nightly sound and light show during the summer that vividly illustrated the history of how the town grew up around the falls, which are now showcased as the centerpiece of the park. The light and sound show was discontinued last year, but a tradition that has endured at Falls Park is the Winter Wonderland. I wish I could be here in December to see that — last year, the park staff set up more than a marathon’s worth of light strings and nearly 300 decorated Christmas trees! After Falls Park, I’m planning to swing by a local art gallery, the owner of which was instrumental in securing state park status for Good Earth State Park at Blood Run, a new park with a lot of Native American history that I’ll visit tomorrow evening. I’m also stopping in to explore Palisades State Park, famous for its pink quartzite rock spires that offer some of the state’s best rock climbing. Here’s hoping there will be a few climbers roped up tomorrow so I can get some cool photos! I need to get some sleep now, but I’m so excited to finally be here! Feel free to follow my adventures on Twitter @D_R_Taylor in case I have too much going on to blog as much as I’d like to! Wow, Danielle! I’ve never been out to South Dakota (neither Dakota, actually) but your trip plans surely make me want to go!! I suppose I should’ve posted my surname (Vickery) as I believe that you probably know more than one Kate!